5. 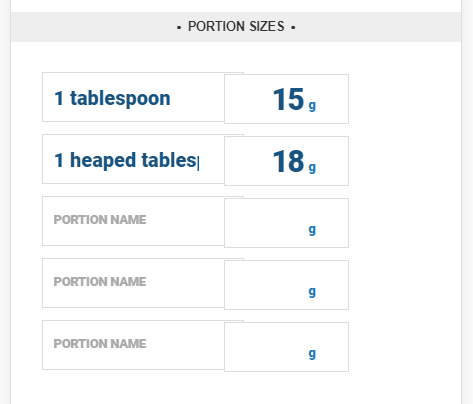 Give the food a name and provide a description with any additional information (for example, manufacturer, data source, flavour, searchable keywords or any other background information). 6. Add a photo from a folder or from the camera. 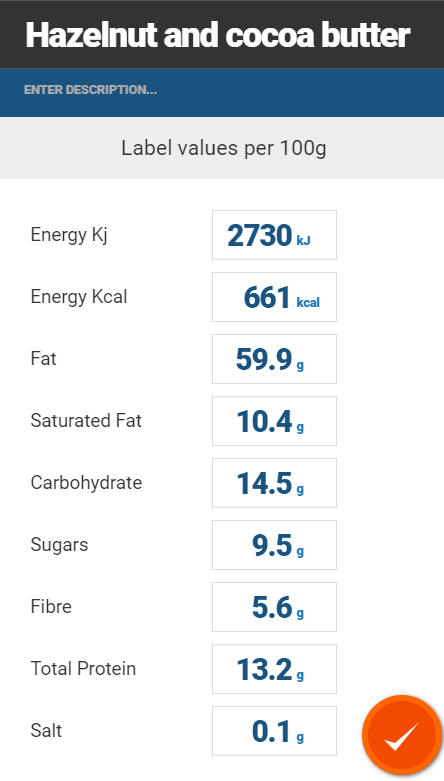 Fill in the label data exactly as presented on the label (per 100g). 7. Choose a category for the food. This is important if the ingredient will be used to create recipes later on. 8. Add any allergy information detailed on the product packaging or ingredients using the allergen indicator buttons. 9. 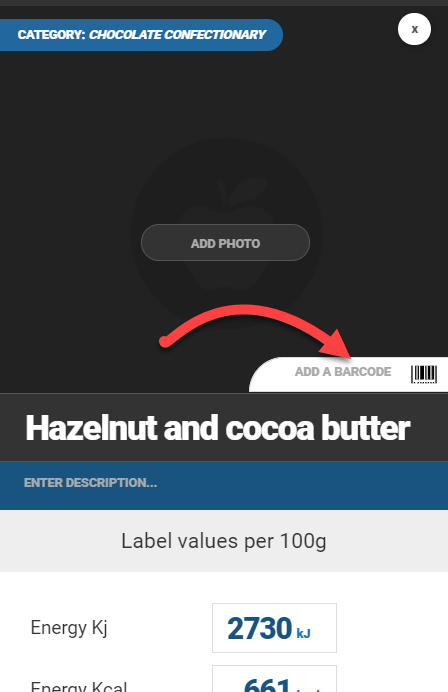 Add a barcode if item is in packaging or is commercially produced. 10. Add up to 5 portion sizes.